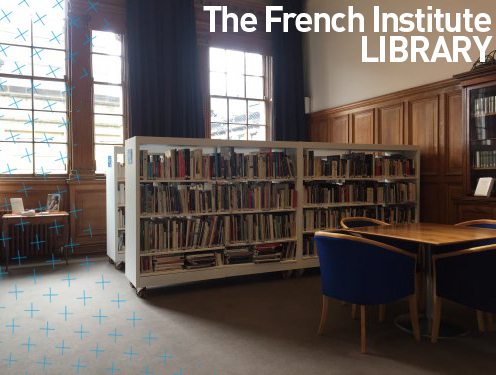 Books, films, documentaries, CDs... the French multimedia Library is offering a wide and varied documentation on all aspects of France, and presents the work of French and French-speaking authors. Documents displayed in the library represent only a small proportion of available material. For a full range, please ask a librarian. New titles are put regularly on the shelves by the librarians. 20,000 books, mostly in French, relating to various aspects of French life and culture, including literature, art, history and geography, social and political sciences. 1 000 feature and documentary films on DVDs. 1 000 CDs: Talking books, classical, contemporary, popular music, jazz, world and electronic music. Reference: Dictionaries (language and specialist), encyclopaedias, travel guides and reference books on a wide range of subjects. Looking for something in particular? You can use the search function (ctl+F). Please note that the catalogues may take a few seconds to download!